Does Scala == Effective Java? 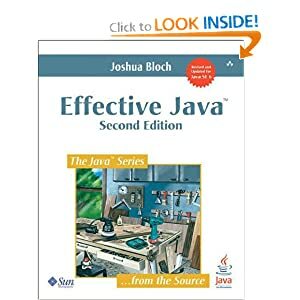 I started reading Joshua Bloch’s Effective Java last week. I’ll have to admit that I haven’t read it before, but only because I’ve been told by several people, “you already do most of what’s in there anyway.” Seeing as we tell all the new recruits to read it, I thought I should actually flip through it myself so I know what’s in there. Books of best practices are always written in relation to domains that have many possibilities for bad practices (choosing otherwise would make for a very short book). Reading the first chapter of Effective Java, I was amused as I realised that, if you’re coding in Scala instead of Java, many of the book’s recommendations are either unnecessary, because Scala doesn’t permit the corollary bad practice, or built into the language of Scala, or made easier to implement than they are in Java. This isn’t a criticism of the book, but an observation that the state of the art is moving on, and Java is being left behind.